Errol Spence Jr. has no interest whatsoever in actively chasing a much-discussed showdown with Terence Crawford. Spence simply replied, “no,” when he was asked after his easy victory over Mikey Garcia on Saturday night if he’ll attend Crawford’s fight against Amir Khan on April 20 in New York. 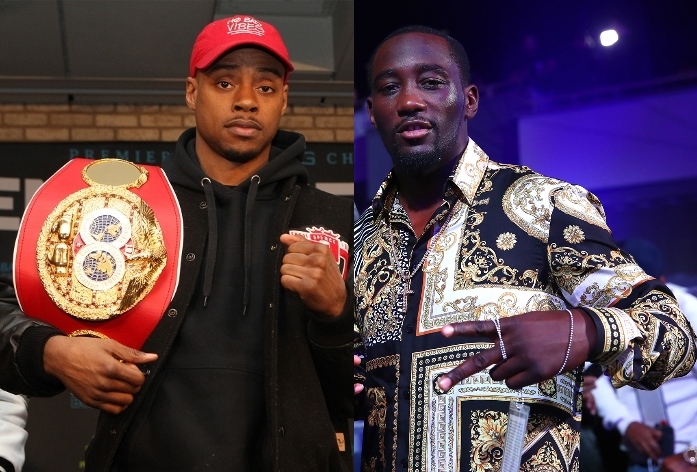 Like Crawford, Spence wants what would amount to the most appealing welterweight title unification fight. The unbeaten IBF welterweight champion realizes, though, that whenever the time is right for them to fight, Bob Arum and Al Haymon will have to get together to make a deal. Ultimately, that shouldn’t be an insurmountable obstacle, Spence said, because Haymon and Arum were able to make a deal four years ago for Floyd Mayweather Jr. to finally meet Manny Pacquiao. “It’s just gonna take everybody to cooperate,” Spence said after he beat up Garcia in their 12-round welterweight title fight at AT&T Stadium. “I mean, we got [Shawn] Porter. He say he wants the fight. And then we got [Keith] Thurman, who has a belt. And then, you know, the most difficult fight to be made is the Terence Crawford fight.